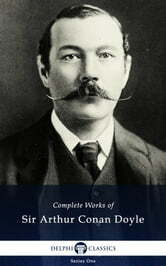 * features SPECIAL BONUS text of Conan Doyle's rare autobiography MEMORIES AND ADVENTURES - first time in digital print! * UPDATED with five rare plays by Conan Doyle, including SHERLOCK HOLMES - explore the Great Man's theatrical talents! * UPDATED with scarce non-fiction works, including the GEORGE EDALJI and OSCAR SLATER real-life crime cases that Conan Doyle helped solve!